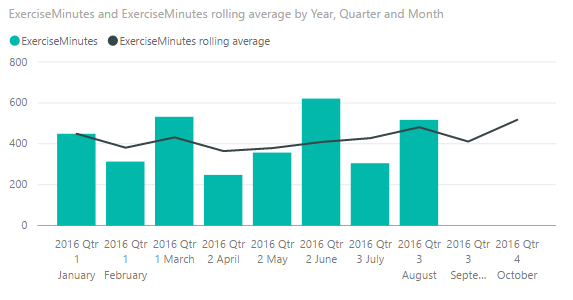 After spending significant time writing the perfect DAX expression to calculate rolling averages in Power BI, I was pleasantly surprised by the April Power BI Desktop release that included a slew of new pre-built “Quick Measures” that take much of the pain away from writing complicated DAX measures. In this blog post I’ll explore this feature and explain how to add this and other Quick Measures to a report. 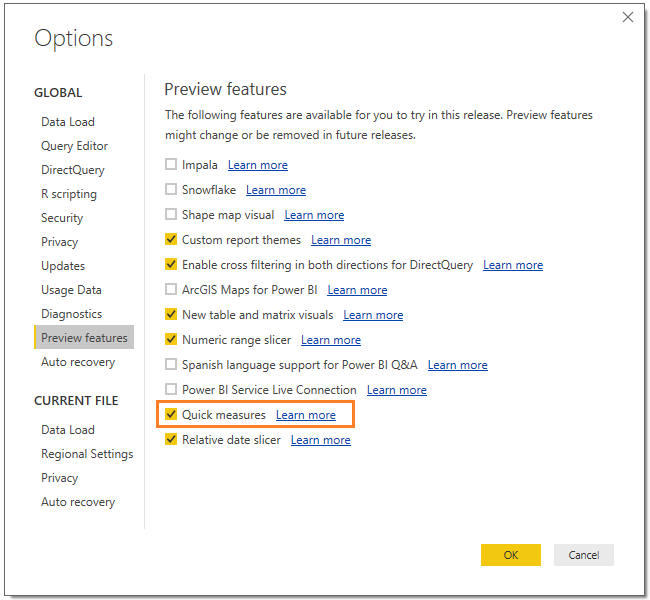 First off, depending on what version of Power BI Desktop you have installed, you may need to enable Quick Measures as it could still be a preview feature. 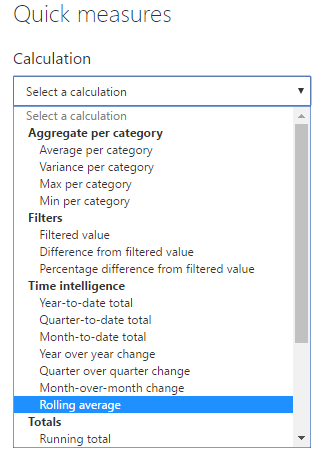 To do this in Power BI Desktop, go to File > Options and setting > Options > Preview Features and check the “Quick measures” box. If you don’t see Quick Measures as an option here, you’re all set. 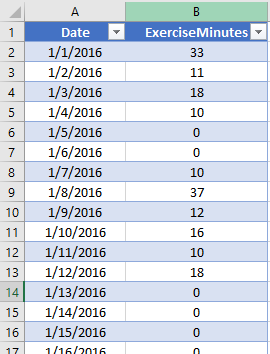 Drag the Date field from the Fields list on the right into the Date field on the left. 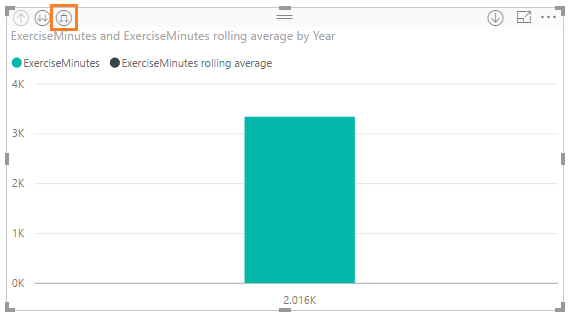 Add the new measure to your visualization by clicking the “Line and stacked column chart” visual in the visuals palette to place a new visual on your canvas. 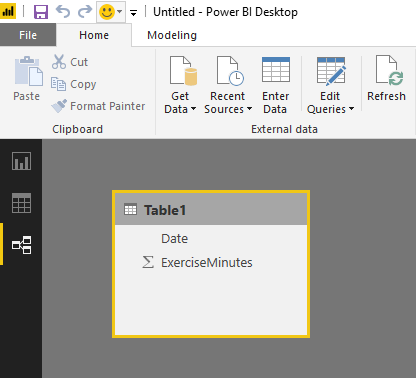 Behind the scenes, when you add a Quick Measure to your Power BI data model, Power BI is generating DAX to support the measure. The great thing is that you can actually see the underlying DAX by finding the measure in the field list and clicking on it to expose the formula bar. Within the formula bar, you can easily edit the number of months you want to look backwards and forwards for the rolling average calculation. 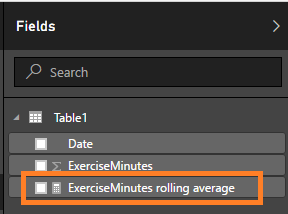 One downside to this method I can identify is that it does not support rolling averages by week, since its not part of the Power BI-provided date hierarchy. However, you could leverage the DAX expression generated by the Quick Measure and your own date table that contains a week field to accomplish a rolling average by week. 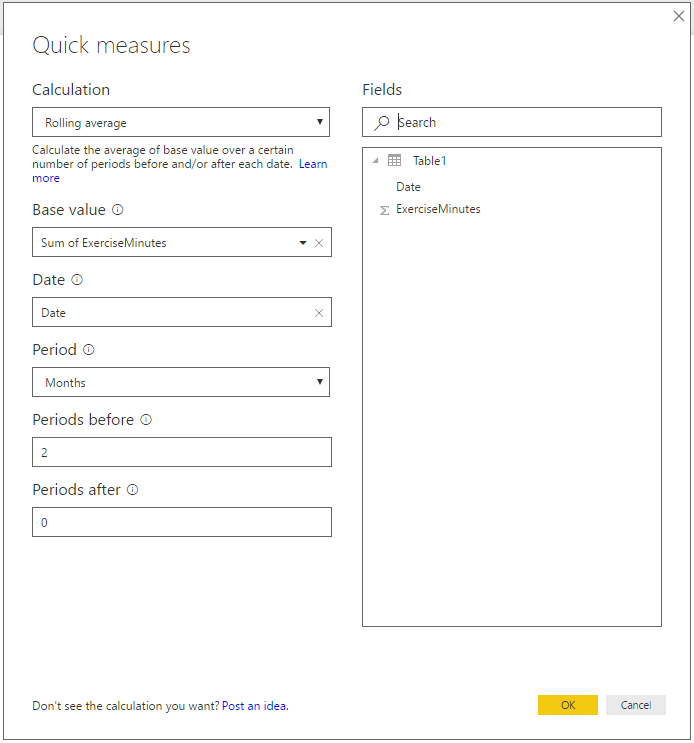 The Quick Measures available today are just the start and we’ve heard the Power BI team plans to release many more in future releases so stay tuned!